US chipmaker Intel Corp has been gifted roughly $1bn (£760m) from the Israeli government to expand operations, Israeli finance minister Moshe Kahlon said on Monday evening, adding 1,000 new jobs to Intel's 13,000-strong workforce in Israel. The Santa Clara-based tech giant is already a major employer and exporter for the Israeli economy, in addition to developing Israel's technologies. Tel Aviv has invested roughly 40bn shekels (£8.3bn) to construct a new factory, with Intel submitting a business plan "for continued investment in the company's Kiryat Gat manufacturing site" in central Israel, without disclosing further details. "The moment the company comes to Israel and invests $10 billion, and it receives a grant of 9 percent, that means 91 percent of it stays here," Mr. Kahlon said on Army Radio. "There are always such discounts, there are always incentives." Name one political or economic instrument you would use to pressure Israel to end apartheid. If not BDS, then what? ​The deal was the biggest investment to date in the country and would "strengthen the economy and employment in Israel", Israeli economy minister Eli Cohen said. 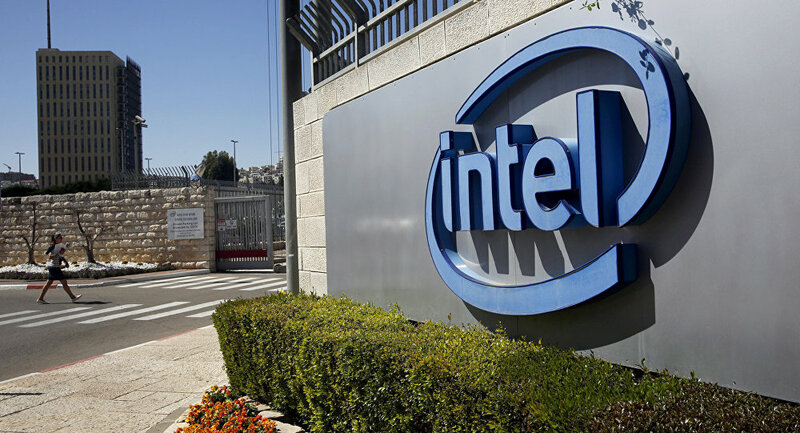 Israel has also given Intel a 700m shekel (£144.7m) grant to the California company in exchange for $5bn (£3.8bn) in operations expansions across the country. The grant amount was agreed upon after negotiations intensified last year, Kahlon's spokesperson said as quoted by Reuters. Such grants were vital for Israel to compete with countries like Ireland for investment, he added. Intel's Israeli exports have risen $300m in 2018 to $4bn, with Israel Chemicals and Teva Pharmaceutical Industries amounting to almost half of Israel's exports. Intel also plans to expand operations across Ireland the US in 2019 and aims to diversify its product line-up for emerging technologies, in addition to mobile phones. US firms have begun increasing investment in Israel amid growing tensions over the global Boycott, Divestment and Sanctions (BDS) movement. The Irish Senate passed a bill in early December 2018 forbidding trade with companies operating in the West Bank's occupied territories, East Jerusalem al-Quds and the Golan Heights, with fines of up to €250,000 (£222.500) and five years imprisonment, which is currently awaiting endorsement from the Irish Lower House. US fizzy drink manufacturer PepsiCo acquired failing company SodaStream in a £3.2bn buyout, or $109.36 per share in August last year.